Published: Oct. 21, 2014 at 09:21 p.m. Updated: Oct. 21, 2014 at 10:53 p.m. Ten scouts. Fifty states. 314 schools. 365 days. One mission. That's the message that greeted us before each episode of Finding Giants, the four-part documentary series that concluded Tuesday night on NFL Network. The series finale gave us a behind-the-scenes look at the Giants' war room during the 2014 NFL Draft. "It's not like theatrical stuff," Giants executive scout Steve Verderosa said of the team's war-room atmosphere. "There's not any yelling or screaming in there. It's very business-like." You can say the same thing of the entire Giants operation, which comes across as highly functional and extremely communicative. You can imagine a high-ranking official from another, perhaps less streamlined team watching Finding Giants and taking notes. Over the four episodes, we saw the Giants operate under a simple-but-effective philosophy. They identify players who fit a physical mold then weed out prospects who don't fit the organizational standards. To cite an example from draft day, general manager Jerry Reese seems particularly drawn to players who served as team captains in college. The Giants aren't interested in taking a shot on a bad seed, then hoping they can reform him. Character plays a big part in their decision-making, certainly more so than some of the Giants' competitors. Reese isn't trying to be a hero here. We see him take input from his entire team in the war room before coming to a decision. It made us think back to a passage in Collision Low Crossers, Nicholas Dawidoff's inside account of the 2011 New York Jets, in which Rex Ryan selects Mark Sanchez friend Scotty McKnight against the wishes of the Jets' entire scouting team. That kind of thing would simply never happen with the Giants, and the general cohesiveness of the scouting operation has undoubtedly played a role in the organization's sustained success. If you want see more Finding Giants, you can access unaired bonus footage from the series right now on NFL NOW. 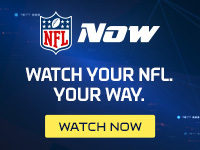 You can find this series and thousands of other NFL Films titles, like Hard Knocks, America's Game, Super Bowl highlights and more available for only $1.99 a month on NFL NOW Plus.